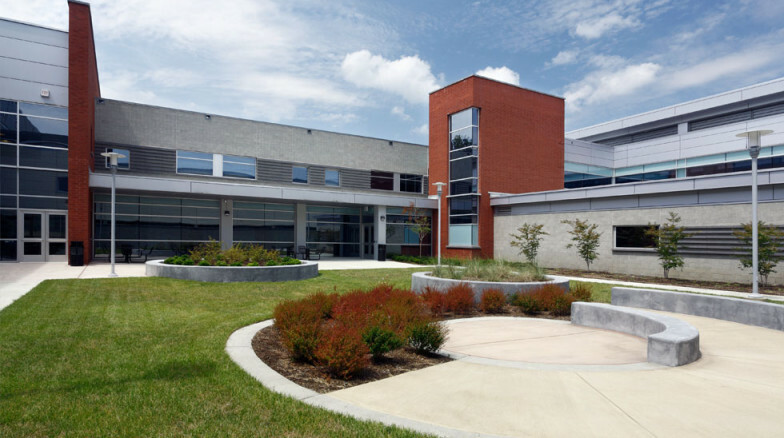 Central Regional Psychiatric Hospital in Butner, NC was the first in a series of three modern psychiatric hospitals designed for the State of North Carolina to replace old facilities and mark a new era in the treatment of mental disorders. 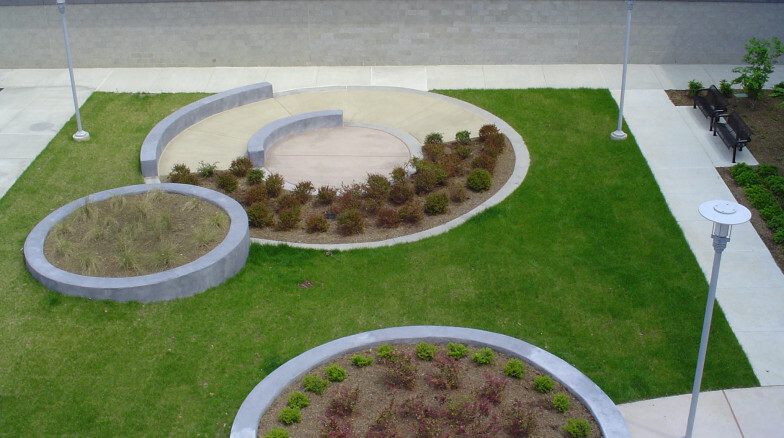 On all three, Surface 678 teamed with Freelon (now Perkins + Will) to plan and design gardens and landscapes that support treatment functions and visitor experience. The overall campus plan of Central Regional was developed to provide clear wayfinding and a strong sense of entry and arrival. 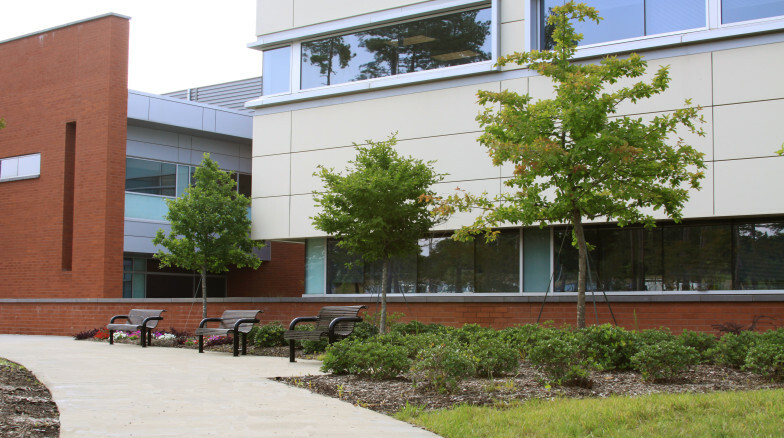 Eleven outdoor courtyards support the specific functions of the patient mall, where patients spend free time and move from treatment areas to residential quarters. 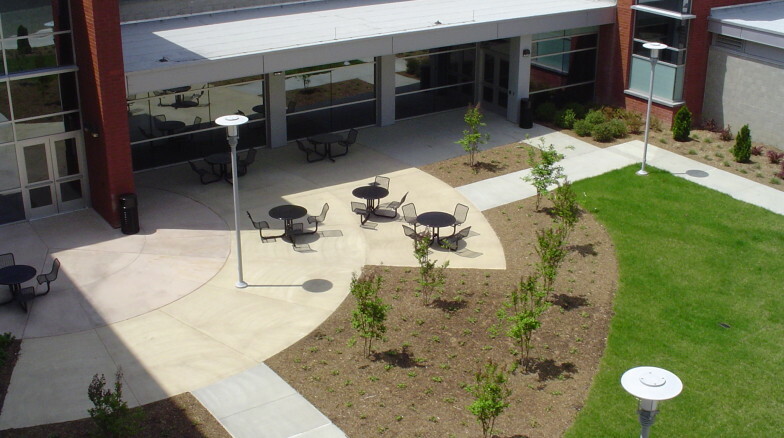 The courtyards provide a range of patient experiences and activities that include recreational opportunities, outdoor dining, and places to sit in quiet landscape spaces.